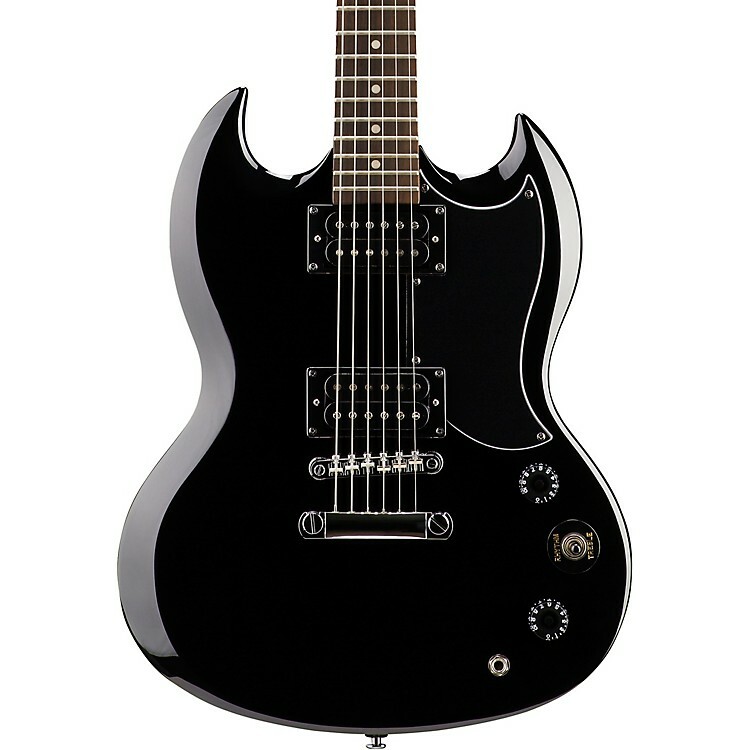 Now you can enjoy the classic style and killer performance of the famous Epiphone SG-Special Electric Guitar without destroying your budget. Features include two open-coil humbuckers, an innovative integrated killswitch/tone pot (push in the tone knob to activate killswitch), LockTone tune-o-matic bridge and stopbar tailpiece for more sustain and easier string changing, chrome hardware, and rosewood fingerboard. Limited lifetime warranty.